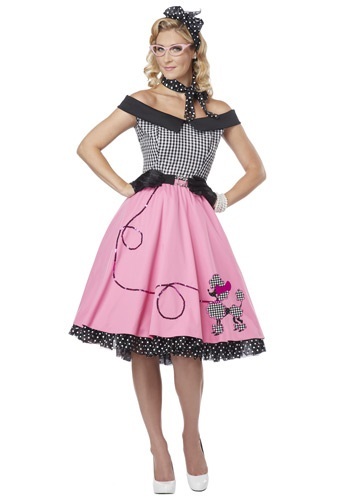 Nifty 50s Costume By: California Costume Collection for the 2015 Costume season. Get ready to do the bunny hop once you slip into this Nifty 50's Costume. It's a great way to celebrate all things retro. Be sure to browse our selection of pearls and eyeglasses to finish your look.